For the first time in years, the Entler will have office space available (as of June 1). Suitable for counselors, therapists, etc., 106 sq. ft of space with closet. Electric, heat, water, and trash is included. Some tenant parking available on a first come first served basis. If you would like to know more, please email HSC1786@gmail.com or call 304-876-0910 and leave a message. Jim Price “Strange As It Seems” DVDs, while they last! On October 23, Dr. Jim Price gave a talk as part of HSC’s Speakers Series called “Strange As It Seems: Actual Happenings in Shepherdstown.” One attendee called it “Jim Price at his best”, as I’m sure all who were able to attend agree. Because many people asked for a copy of the presentation, Historic Shepherdstown arranged through Ascent Video Productions for a limited release of DVDs of the talk. The price is $15, most of which goes to defray the cost of mastering and copying the DVD. 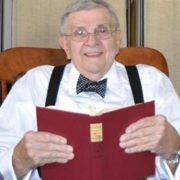 Dr. Price has generously agreed for the extra $5 to serve as a fundraiser to benefit Historic Shepherdstown. 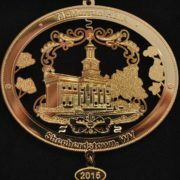 During Christmas in Shepherdstown, the DVDs can be purchased at the Historic Shepherdstown Museum on Saturdays between 11 a.m. and 5 p.m., cash or check only please. Those who would like to purchase them at other times can call or e-mail the office at 304-876-0910 or hsc1786@gmail.com to make arrangements to pick up a copy. The office is normally open on Tuesdays, Wednesdays and Fridays from 9:30 a.m. to 5:30 p.m. Again, cash or checks only please. 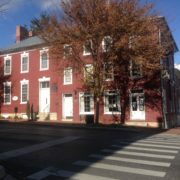 It is also possible to send a check for $19 (which includes shipping & handling) to Historic Shepherdstown at PO Box 1786, Shepherdstown, WV 25443.